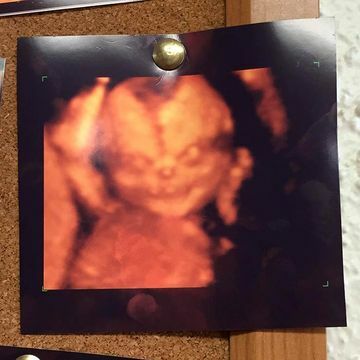 Couple on Reddit changes their mind about having a novelty 4D ultrasound after seeing a spooky face in the waiting room. Would this creep you out, too? A husband and wife went for an exciting 4D ultrasound to watch their unborn baby in motion for the first time. They were probably dreaming about catching their baby flash a cute smile in the womb, or maybe even an adorable yawn. Well, the excitement for the appointment died in the waiting room, when the couple spotted a disconcerting photo on a bulletin board. A pic from a previous patient's 4D ultrasound on display reflected something, well, demonic. It irked the expecting couple to the extent that they preferred to bypass the video-like ultrasound sesh, and opt for a traditional ultrasound. 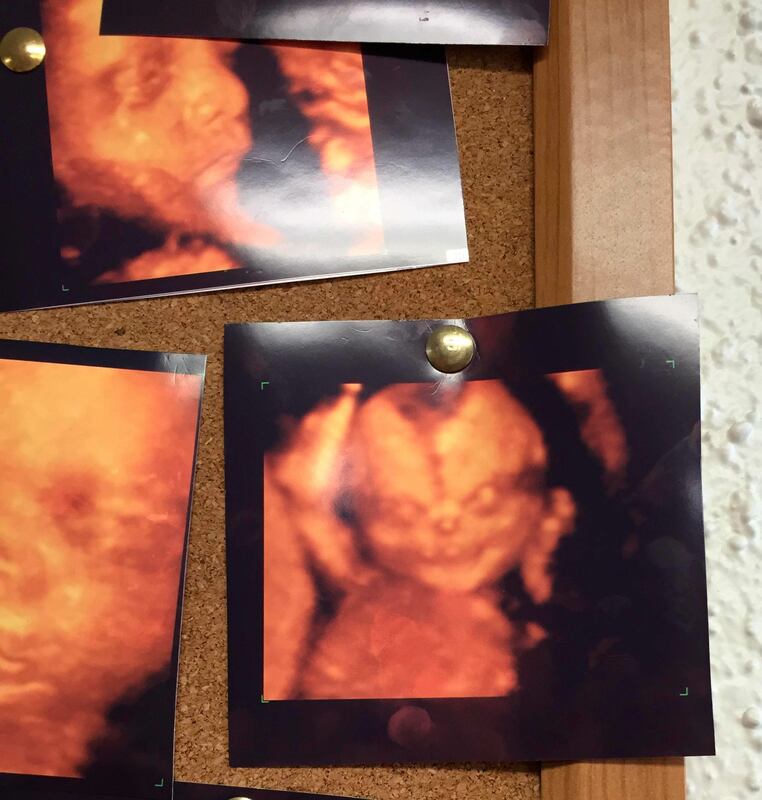 The dad-to-be posted a photo of the chilling still they saw on Reddit, captioned, "Wife and I went to get a '4D' ultrasound of our unborn child. Saw this picture. Changed our minds." The couple's spooky post has fallen before 2.5 million eyes in just five days. As exorcism-worthy as the unborn baby in the photo looks, we're sure the baby in question will (or already does) look adorable in real life. Ultrasounds really are just so sophisticated—but is this always such a good thing?